Mumbai, 4th Dec 2018: Cox & Kings Ltd., the oldest and leading tour operator with operations in 22 countries across continents was crowned winner at the eighth edition of Conde Nast Traveller Reader's Travel Awards (RTA). It bagged the prestigious title of India's Favourite Specialist Tour Operator for the third consecutive year. 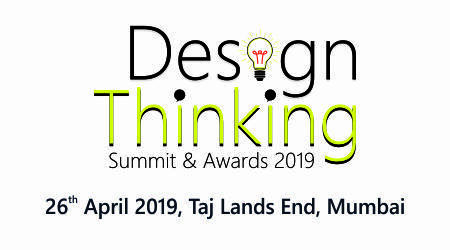 Held at the Lodhi, New Delhi, the glittering ceremony was attended by eminent leaders and influencers from the travel industry and government bodies. Cox & Kings was conferred upon the award after it emerged to be the favourite tour operator through an extensive reader's voting that recognises the best in the travel industry across hotels, destinations, airlines, spas, websites, apps, cruise lines and more. The annual Conde Nast Traveller Readers' Travel Awards has set the benchmarks in the hospitality and travel industry year on year, since its inception in 1989 in the United States of America. 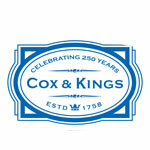 Cox & Kings Ltd. ('C&K') is the oldest travel company in the world and also one of the leading leisure travel groups with operations in 22 countries across four continents. It is one of the most experienced travel companies in the world, having been in operation since 1758. Headquartered in India, C&K has over the last three decades transformed itself into a diversified, multinational travel conglomerate with a focus on the new-age global consumer. Cox & Kings has been the recipient of various accolades both in India and internationally. It has been winning the prestigious World Travel Award in different categories since 2013. The title of Asia's Leading Luxury Tour Operator was retained for the 4th time in 2018. It won the title of India's Leading Tour Operator in the year 2013, 2015, 2016, 2017, 2018 and India's Leading Travel Agency for the 6th Consecutive time. In 2018, Cox & Kings bagged the title of 'Best Outbound Tour Operator' at the Zee Business Travel Awards. While it emerged victorious in the Asia Pacific region at the prestigious PATA Gold Awards, Cox & Kings retained the title of Champions of Chinaplas for its excellence in trade fairs in China. It also won the coveted SATTE award under the category of Best Outbound Tour Operator. In 2018, Thailand recognised the innovative initiatives of Cox & Kings and conferred upon the 'Amazing Thailand Award 2018' for its creative campaigns to promote the Women-only holidays. Cox & Kings' commitment to sustainability was celebrated at the Global Responsible Business Leadership Awards in Malaysia where it bagged the title of 'Sustainable Travel and Tour Operator of 2018'.